The Arduino LED driver is an Arduino-compatible project designed to control many LED strings in applications such as Christmas and party lightning. Note that there is a small design error in the current revision of the PCB. The DFLS204L diode footprints are backwards. 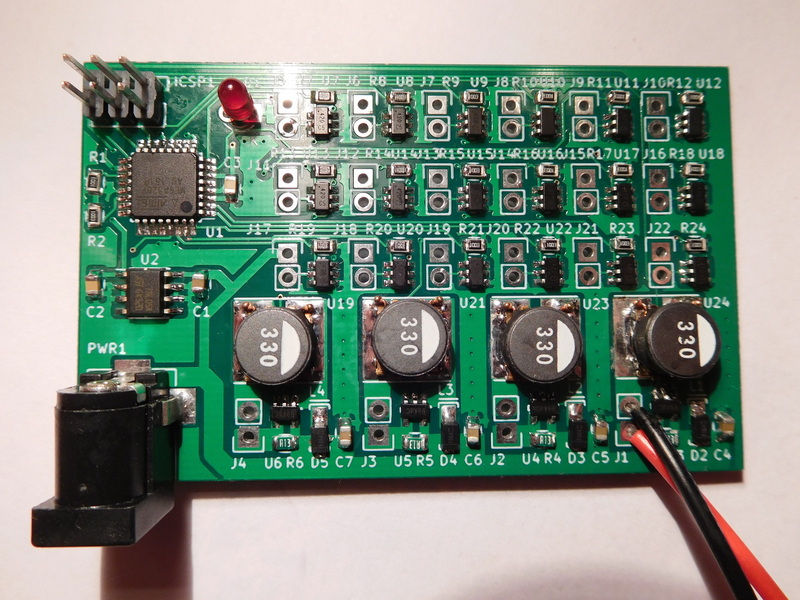 However, it is perfectly possible to solder the DFLS204L diodes in the proper orientation. Connectors for the LED strings are not included so that you can solder your own connectors or even solder the LED string directly. The footprints on the PCB are for standard 2×1 headers of 0.1” pitch.